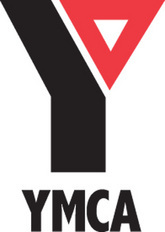 A world renowned organization of Y, or YMCA, or Young Men's Christian Association aims towards putting into practice various Christian principles, mainly with the help of developing a healthy spirit, body and mind. Their artistic logo bears the symbolism in all the sides of the triangle. Various communities are spread in innumerable countries that vastly offer different programming. They offer high response to the requirements of local communities. Various programs are offered to the communities - like, child care, personal fitness, training programs, overnight camping, advisory services, educational activities etc. They derive financial support from various membership dues, fees for programs, foundation grants, community chests, charitable contributions and various other sources. There are currently 0 consumer reviews about YMCA Central Coast YMCA available. Share your review. Please take a note that you are about to post a public review about YMCA Central Coast YMCA corporate office on CorporateOffice.com. This review will be public, so please do not post any of your personal information on this website. If you would like to contact the corporate offices of YMCA Central Coast YMCA, please use their contact information such as their phone number, website, and address listed above to contact them. However, sometimes staff from YMCA Central Coast YMCA headquarters do read the reviews on this website.